Generally, you should feed your adult dog between 2%-3% of it’s body weight per day. This is of course depending on your dogs activity levels and general health. This raw feeding guide should help you and by now, you should already know the benifits of feeding raw. For example: A medium to large dog weighing 25kg would need 500g-750g of raw per day. Toward the lower range for a less active dog and toward the upper for a more active dog. Make sure to adjust the amount to align with your dog’s ideal weight goals. For example: If your dog is overweight, aim to feed around 1.5%. Or underweight, 3.5%. Using the example above, this would be: Overweight = 375g per day – Underweight = 875g. Adjusting as their weight increase or decreases to the ideal weight. How Much Raw to Feed a Puppy? Puppies grow at a phenomenal rate. So to keep their body fueled, they require around 5% of their current body weight at first (depending on the breed). For example: A puppy weighing around 5kg would need 250g per day. Gradually decrease this to the adult percentage around the 9th or 10th month. With this being just a guide, you need to check regularly that your dog is maintaining it’s weight. Or making progress towards his or her goal weight and adjust as necessary. Use your common sense, you know your dog the most. Raw4Dogs Supplies Complete Raw Dog Food! We have been supplying complete raw dog food since 2015 and have been feeding our dogs a raw diet since 2014. It’s a great alternative to the highly processed grain based factory food. So please check our raw4dogs shop! Read our benefits of raw feeding post for just some of the great benefits. 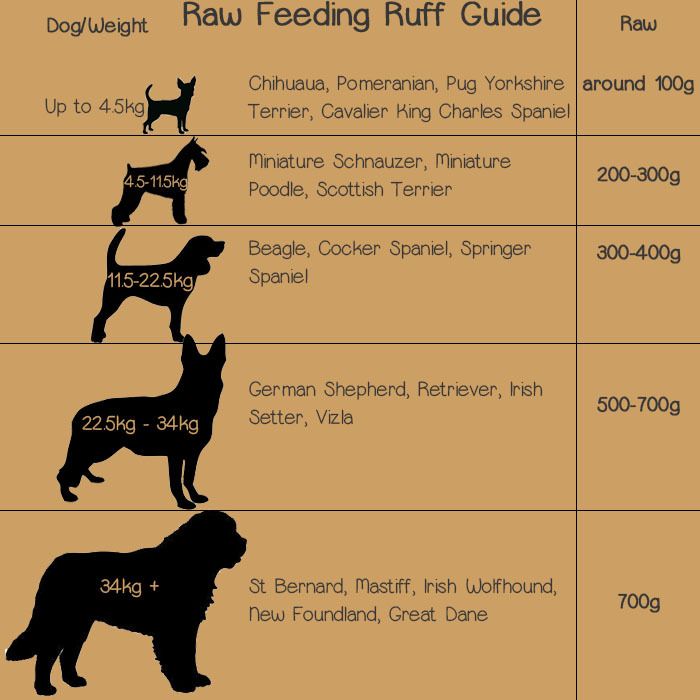 Furthermore, you can read how much raw to feed your dog in our other blog post (coming soon). Essential for knowing how to help your dog lose weight if it’s too fat, or gain weight if it’s too lean. Raw dog food and the BARF diet offers a great way to give your dog a great balance of protein and nutrients. 100% natural 100% free of additives. One of our most popular flavours from Nutriment. We even offer raw puppy food, which contains a higher meat to bone ratio. Start your dog on raw today! And see the benefits yourself! If you’re reading this post, you will have heard about raw feeding, or BARF (Bones and Raw Food Diet or Biologically Appropriate Raw Food) for dogs. From personal experience and from success stories from my other doggy friends, I will give you a list of the top benefits of raw feeding your dog. Check out our online raw dog food shop before leaving this page. 1. Raw Feeding? IT’S ONLY NATURAL! One of the biggest reasons for me to change to raw feeding was the natural ingredients. A popular dried dog food product contains “cereals” and only “4% meat and animal derivatives”. Let alone there being many preservatives and additives added which mess with hormones and the allergies of your dog. A dogs coat, visually, is it’s biggest asset. It’s what people see first. To maintain a high gloss and healthy look and feel, the dog needs oils. These oils are found in fish (especially salmon) omega-3)) and Wheat Germ Oil which is a natural source of Vitamin E – this also acts as an anti-oxidant, to rid the body of free radicals and toxins. But in terms of skin and coat, it keeps it healthy, soft, supple and less prone to irritable skin patches. Eyes of dogs show character and emotion. Often dogs have goopy or seeping eyes which can be a never ending task of wiping your dog’s eye with tissue. If this happens occasionally, then it’s most likely a bit of dust or hair in your dog’s eye. But a daily, thick, mucus-like goop is usually a sign of allergies, which can be aggravated or even caused by a diet of additive and preservative filled tinned/dried dog food. Teeth are often stained or gather a brown hue near the gums. This can be prevented and also considerably reversed with raw feeding. The best raw food for a gleaming white teeth is Green Beef Tripe. This contains enzymes/gastric acid suitable for breaking down not only food when it reaches the stomach, but tartar build up on your dog’s teeth as it chews the tripe. 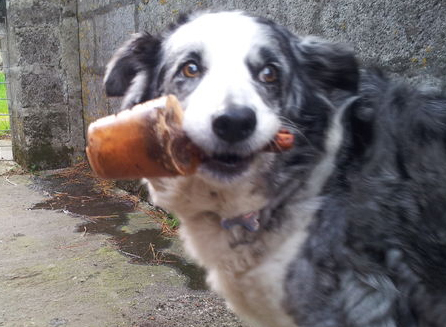 Also, chewing through meaty bones are a good way to scrape away at any build up. We all know that dog smell. A smell of a musty or oily coat. Dog breath from a heavy pant oh… and poop. With a healthier coat, producing a consistent amount of healthy oils to its skin and coat, your dog’s coat will no longer smell like a constant wet dog, but a fresher, lighter smell. With a dog that isn’t shedding as much skin/dander or hair due to it being healthier, your whole house will smell a lot better too. Reducing tartar build up or preventing it will lead to a more neutral breath from your dog. This is further helped by having a healthier digestive tract, leading to less gas being produced by your dog. Which swiftly leads me to smelly dog poos. With raw feeding, your dog will be digesting a lot more nutrients and protein and putting it to good use in its body. Whereas normal dog food is filled with cereals and carbohydrates which isn’t absorbed as much and is passed straight through the other side. Raw feeding = smaller, less smellier and less frequent stools. In dog food off the shelf, there are preservatives, additives and colours added to the dog food. This can give a hormone and energy imbalance. This could result in hyper activity followed by a lull in activity and tiredness and restlessness. In addition, with there being a high carbohydrate intake with dried or tinned dog food, this leads to a spike in blood sugar levels after meal time. With there being no additives or preservatives in BARF diets and being high in protein and considerably less carbohydrate, there is a more sustained release of blood sugars and insulin. Your dogs ability to digest food more efficiently (due to enzymes contained in some raw foods) a greater amount of nutrients and proteins will be able to be absorbed and put to good use. Dogs can develop allergies throughout their lives. This can be brought on by persistently using the same dog food. Explained throughout the other points – allergies are the main cause of skin irritation or skin hot spots, seeping eyes, ear infections and inflammation in joints, muscles and gums. 7. Variety of Raw Feeding is The Spice of Life! Imagine if you ate chicken and veg every day. How long could you hack it? With feeding raw, every day could be different. Dogs have their favourite foods. But if they were constantly given it, the stimulation for feeding time will soon disappear. I no longer need to look at the clock as my dogs are fine tuned to the time of day that they’re going to receive a tasty nutritious breakfast or tea. They have no idea what is on the menu. And they are really stimulated by this and always lick the bowl clean. There are so many more benefits. All are very important to the growth and development and future health of your dog. We are a supplier of Nutriment and Durham Animal Feeds – visit our online raw feeding shop to order. Sign-up to our mailing list – no spam. Just great content and offers. Sent every now and then. Following on from our last post about ways to keep your dog cool in the summer heat, we have another helpful list for when things take a turn for the worst. Heat stroke. It’s can be a deadly scenario, but with these signs to look out for and what to do if your dog falls into a heat stroke, this post could save your dog’s life. Dogs have a body temperature of around 38.5C. Maintaining this temperature can be difficult if measures aren’t taken to stop strenuous exercise in hot or humid temperatures. The dogs temperature regulation system (panting, it’s nose and spleen) can only do so much until it starts to have a negative effect, for example panting generating more heat rather than cooling. This is the start of heat stroke. Other signs include: rapid heartbeat, vomiting or bloody diarrhea, seizures, convulsions or unconsciousness. Douse your dog in tepid water – not cold. Apply wet blankets. Concentrate cooling on the head, neck chest and groin areas. Continue the cooling process until the body temp is below on or below 40C or signs have subsided enough so that you can transport your dog to the vets. Travel with A/C on full or with the windows down with your dog in a wet blanket. Continuing to cool your dog may lead to blood clotting or hypothermia. You know your dog best any behaviour out of character, may also be a sign. Monitor closely. ACT QUICKLY – Heat Stroke can be fatal in dogs. Illustrated steps on how to treat heat stroke in dogs. It’s hot. Your dog is panting and you feel helpless… Especially because dogs can’t take off their layers like humans can. Here are a few Care2Pets tips you can use to keep your dog cool on hot days. All these options are still fun for the dog and they will keep them entertained whilst secondly, keeping them nice and cool. If you often give your dogs a chunk of bone from the butchers, you know how long they sit there gnawing away. Well if it’s a hot day, put one in the freezer for an a few hours. 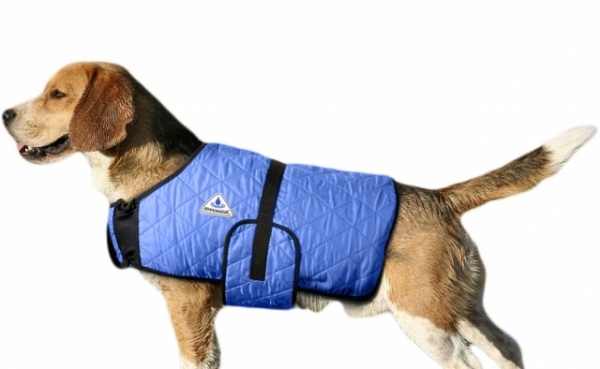 They come out frozen to the core and will keep your pooch cool for a good while. A dog ice lolly almost? These are a great tool for keeping your dog cool out on a walk. You simply wet them with cold water, wrap them around your dog and it will keep them cool. But it makes my dog wet, right? Wrong. The coat absorbs the water and stores it. Slowly evaporating whilst keeping your dog cool. Once all the water has evaporated after your walk, take it of your dog and it will be cool and bone dry. A simple but effective trick. 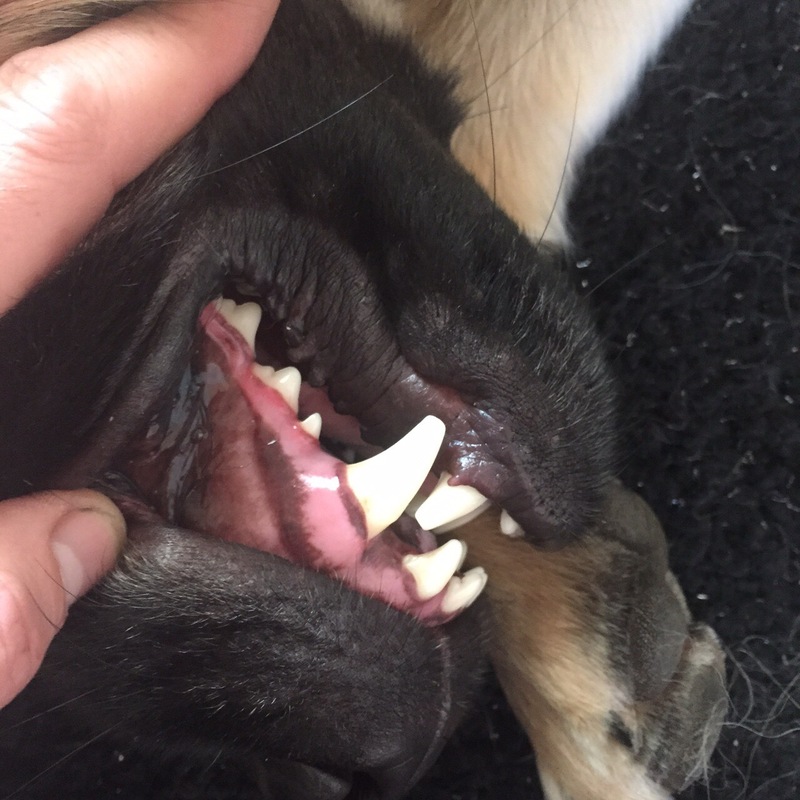 You may have heard on social media that this gives your dogs stomach cramp – this has been refuted many times by many vets. Fill a bowl with water, add ice. Simple! Use the treat sticking out as the handle. oxo cube), treats like a gravy bones or anything that they love. Put it in the freezer overnight. Once they need cooling down, crack it out of the mould and give it to them. They’ll be there for a good amount of time with a tasty, cooling treat. Something that we have recently invested in, it’s great fun and a great way to cool down after a walk or a play in the garden. Thhe video says it all! 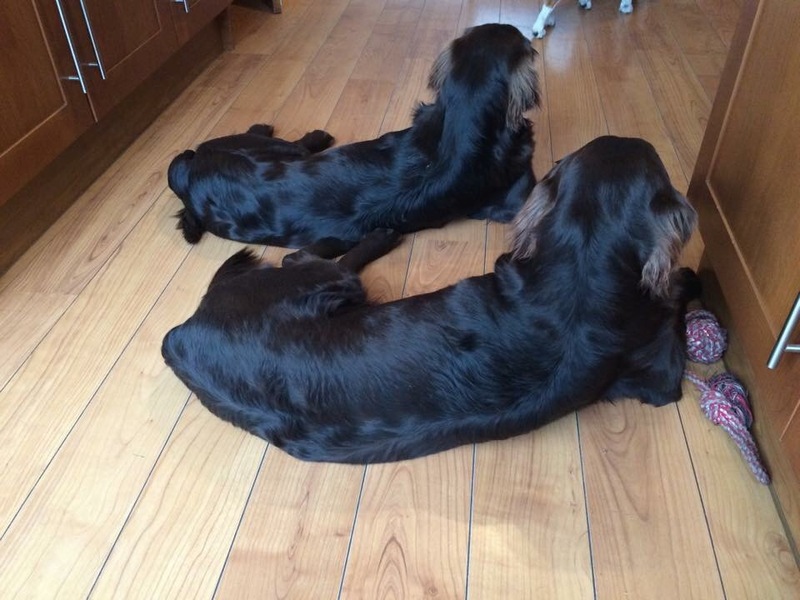 An odd one, but on hot days our dogs have a bit of rest in the bathroom which has tiled flooring. They both lay there and have a well earned siesta. Minimal activity during 11-4 peak heat. Us humans know that it’s far too hot between these hours. But your dog wants nothing more to run around, unaware that they have a big thick coat on. The sun in the summer in the UK is at it’s hottest at around 2pm. So if you want to keep your dog cool – this is the time to avoid strenuous exercise. During these hot hours, water the garden, get a sprinkler attachment from your local garden centre and your dog can run in and out of it as they please. They may even try and have a little drink… TRY being the word. Shade and Shelter – Is your walk broken up with shade spots or through a wooded area? Keep your walks short – heat exhaustion sets in really fast! Keep an eye out for our next blog post in the coming days on how to spot the early signs of heat stroke in your dog! It could save their life! Melanie and the Care2Pets team have been around since 2005, providing an excellent and successful service. We are highly recommended on the review website Freeindex and have reviews on our Facebook page also. At first it started with Dog Walking around Bredbury, Romiley, Woodley, Offerton and other areas of Stockport. From this grew the demand of other pet services and a growing team. The dogs that we walk and look after get special treatment, interaction and affection. They become one of our own whilst we’re walking them and stay with us in our family home. Playing with my sons and my other two dogs. 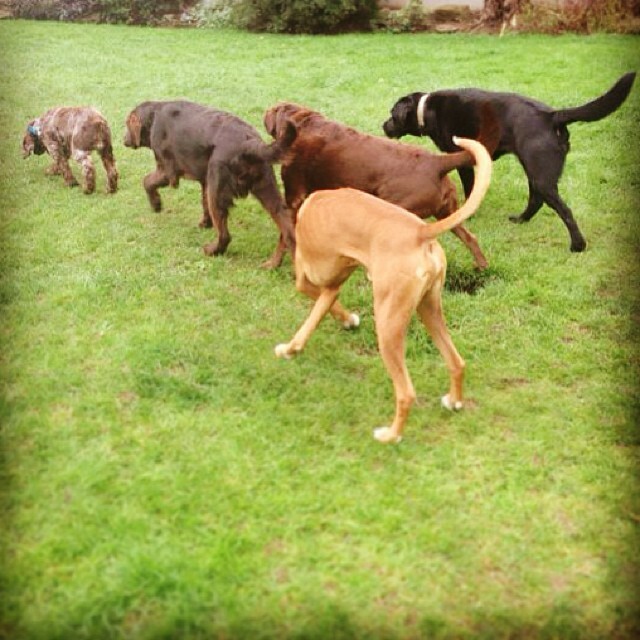 Our Dog Walking service is offered in 30, 45 and 60 minute slots. Smaller dogs we recommend 30 minutes, medium – 45 and 60 minutes for larger dogs or working dogs like collies, shepherd dogs, huskies and the like. If you are uncertain as what slot would be suitable for your dog, please contact us on the below mediums. 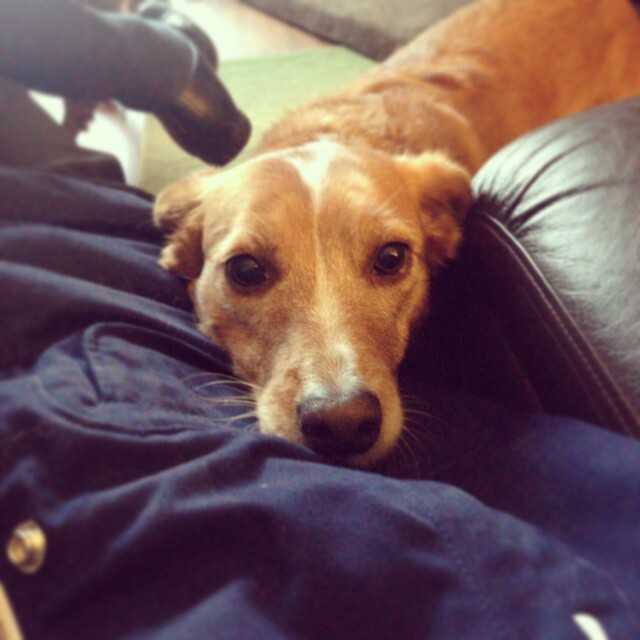 If you’re looking for a one-to-one dog walking, then please get in touch. You can call us on 0161 494 7728, email us or Facebook us. We have a number of social network profiles that we update. Which are Facebook, Twitter, Instagram and YouTube. Please check our content out to see the kind of things we get up to. Cubed liver cake in small more-ish bite size chunks. If you’re planning to train your dog and you’re looking for a tasty treat to reward the clever dog, then this liver cake recipe is by far the best, tastiest and healthiest treat you can give. They’ll be learning tricks in no time. Combine the Liver, crushed garlic and egg into the food processor or bowl. Blend until smooth or until the liver is in very small pieces. Slowly start to add the flour. 50g at a time would be a good rate. Once all the flour has been added, the mixture should be a gloopy consistency, like a brownie mixture. It should look like a brownie mixture too! 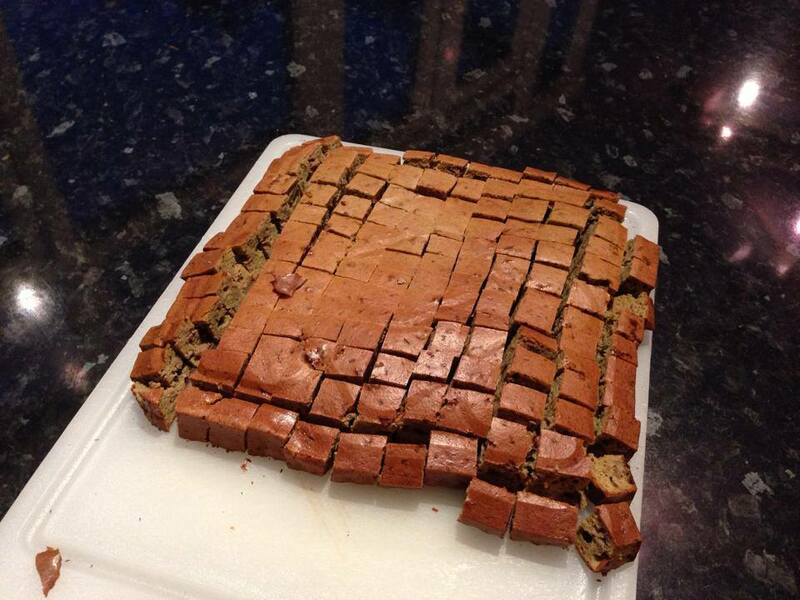 If it’s a bit too thick, add some milk. Too runny, a little more flour. Transfer to the baking tin. Around 1 inch deep, should be OK. Put in the oven for about 15-20 minutes. Stick a knife in the middle, if it comes out clean, it’s done. Let it cool, dice them up and put them in bags in the freezer to use when needed. Consume them within 3 days whilst not frozen. Add the mixture to fairy cake cases or the foil Yorkshire pudding tins. These should take about 10 minutes. Tell us how your Liver Cake turned out! Go to our Facebook page and submit an image of your liver cake and your very happy and drooling dog. We’d love to see them! Save our blog for more dog treats and tips to come in the future! New Name. New Logo. New everything. But we’re still the same great pet care company. We will be making more posts and about competitions and general goings on! StockportJess on New Name. New Logo. New everything.